You voted and Houzz heard! 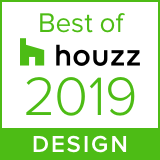 Voted Best of Houzz 2019 for Best Design! Check out Houzz’s Ideabook to see the winner! "Moroccan tile is popular with homeowners who favor bohemian and global sensibilities… ‘We jumped at the chance to use this distinctive tile,’ says Mary Maloney of Bee’s Knees Interior Design." Check out the rest of the article via the link above! "This gracious guest bedroom designed by Mary Maloney and Carol Mokler of Bee's Knees Design out of Hopkinton, Massachusetts photographed here by Kyle Caldwell is filled with charm! The designing duo believe that old is often better than new and tend to gravitate towards old-fashioned things with a modern spin. 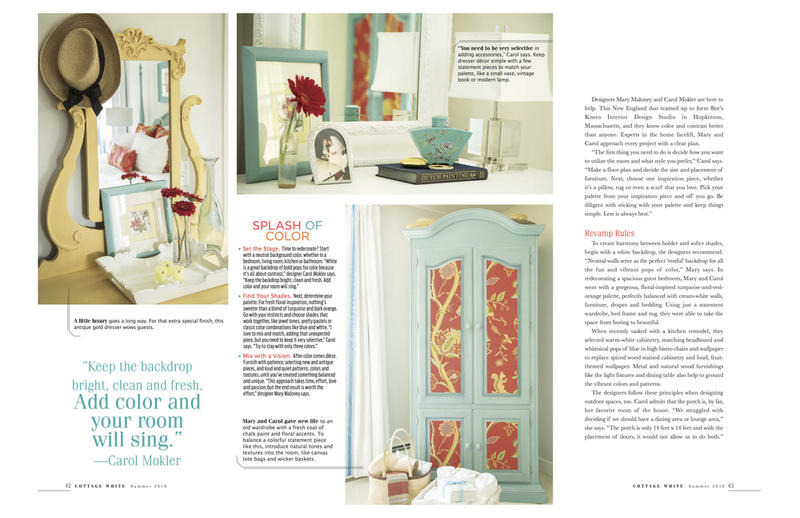 Love how they did just that with the cheery armoire and blue four poster bed! The pretty Thibaut wallpaper and fabric add such a unique, whimsical touch! (And extras make great artwork too!) I know you'll enjoy seeing more work from Bee's Knees Design, go here to check it out!" The LuxPad has researched the interior talent across the state to bring you 25 of the best interior designers in Massachusetts. Bee’s Knees Design – what should we know? What do you guys do best? What sets you apart from the competition? Our charming Main Street studio houses a great collection of resources for our clients, all of which helps to streamline the sourcing process. We pride ourselves on offering a very high level of service. We love to blend old with new, our approach is not cookie cutter. A layered look takes time but the end results justify the means. We enjoy collaborative efforts with other like-minded creatives. We are a very friendly crew and good listeners. We design to our client’s individual needs and the Golden Rule applies to everyone we come in contact with. Our projects range in size and scope, from one room makeovers to full house renovations. We are passionate design geeks, we live and breathe for good design. There is tremendous satisfaction and reward when you see the impact of a job well done. At the end of the day we all need a place to retreat to and refuel. The best reward is the look on a client’s face when we deliver what we promised and then some!